The book of Revelation can be very overwhelming. However, it is meant to REVEAL, not conceal. It’s a gift from God to show us what is to come. No other book in the Bible promises a special blessing to those who read, hear, and keep it! The book of Revelation uses strong visual imagery. This doesn’t mean that it’s allegorical. Much in the book of Revelation is literal! The book is also chronological (Seals – Trumpets – Bowls), with a number of “Detail Popouts”. These detail popouts provide a more in-depth explanation about what was just introduced. Click on the links for further details as we go. Let’s dive in! This book is a gift from God to the followers of Jesus Christ. Each member of the Holy Trinity sends grace and peace. The message is clear – Jesus is coming! This offers great hope for those who are saved by the blood of Jesus, for we will make up His kingdom and serve God forever! This also offers stern warning to unbelievers, who will “wail on account of him”. John’s first vision is of the Son of Man, Jesus Christ Himself. The language clearly identifies Jesus as being one with the Almighty God, the great “I AM”. Chronological. The letters to the churches apply to the entirety of the church age. Jesus Himself dictates letters to 7 specific churches. These were 7 literal churches that existed in John’s day, but they were deliberately selected to address issues that would occur throughout the church age, both in congregations and individual believers. The letters each follow a similar pattern. There is generally a commendation, an admonishment, and a reward for the overcomer. These rewards are offered to EVERY BELIEVER. We overcome through the blood of the Lamb (Jesus’ death and resurrection) and the word of our testimony (confessing that Jesus is Lord) and by holding firm in the faith unto death (Rev 12:11). All the rewards point to an element of eternal life and ruling with Christ in both His millennial and eternal kingdom. The church in Ephesus is commended for its’ works, endurance, and testing of doctrine; it is admonished for losing its’ “first love”. The greatest commandment is to love the Lord our God with all our heart, all our soul, and all our strength! God wants us to be passionate about Him. The church in Smyrna is the suffering church. Jesus encourages them to be faithful unto death. The church in Pergamum has held fast to their testimony and has not denied Jesus’ name. However, they have allowed false doctrine and sexual immorality to come in. The church in Thyatira has good works, love, faith, and patient endurance. Unfortunately, they also tolerate false doctrine and sexual immorality. The church in Sardis also has good works. However, they are spiritually dead. No matter how good our works are, when they are done apart from the Holy Spirit they are “incomplete”. Isaiah describes these righteous deeds as “filthy rags”. This church is given a stern warning to wake up, or Jesus will come like a thief against them in judgment! This “thief in the night” warning is issued several times in the New Testament against those who aren’t spiritually prepared for Jesus to come. The church of Philadelphia, as with the church in Smyrna, has no admonition. They have good works, keep Jesus’ name, and patiently endure. This church is promised to be kept “from the hour of trial that is coming on the whole world, to try those who dwell on the earth”. This promise, as with all the others, is offered to all true believers. This promise to be kept from the time of trial is uttered by Jesus Himself!!! The church of Laodicea is the lukewarm church. It is so repulsive to Jesus that He says He will “vomit” them out of His mouth. They say they are rich, prosperous, and need nothing – however, they are spiritually poor, blind, and naked. The danger of riches and comforts in this world is that people will be lulled into spiritual slumber! We would all do well to “have an ear to hear what the Spirit says to the churches”. A Study on the Overcomers: Who Is Worthy to Escape All These Things? NOT Chronological. The Throne Room Scene is a new vision, that goes back in time to Jesus’ Death, Resurrection, and Ascension. John sees the throne of God and those who surround it – the four living creatures (cherubim) and the 24 Elders. It is a common misconception that the 24 Elders represent the church. This can’t be true because they are present in heaven BEFORE the slain Lamb appears. These might be the Patriarchs from before the Flood, or they may be an angelic order. HERE is a post discussing the 24 Elders. We then see THE 7-Sealed SCROLL in the right hand of God. This scroll is the title deed to the earth and its kingdoms, and details how Jesus is going to take back what is rightfully His! Note that satan offered the kingdoms of the world to Jesus when he tempted Him in the wilderness. It was a valid offer – satan is the present ruler of this world (Eph 6:12). A search begins for someone who is worthy to open the scroll, and NO ONE in heaven, on earth, or under the earth is found. This search encompasses the supernatural, the natural from one end of the universe to the other, and both the living and the dead. The timing of this vision is thus placed before Jesus’ death, resurrection, and ascension. As John weeps, we then see the Lamb of God! Jesus, as the Lamb of God, is uniquely able to take the scroll and open its seals. By His blood he paid the purchase price for humanity and the redemption of the earth. The 24 elders, the living creatures, and myriads of angels are joined by all of creation in worshiping the Lamb! (Notably missing is any mention of humans). Chronological. The opening of the Seals marks the conclusion of the Church Age. Jesus, as the Lamb, opens the seals on the scroll! He is about to open the document which details the mystery of the process by which He will reclaim the earth for His eternal kingdom. Based on Daniel’s vision stating that the scroll will be sealed “until the time of the end”, I believe Jesus opens these seals when the fullness of the Gentiles has come in to the new covenant (Romans 11:25). I believe they are opened one right after the other (same day/hour, at the rapture of the church). For a more in-depth discussion, please see Seals 1-4, Seal 5, Seal 6. Keep in mind these seals open concurrently, so the events they describe are overlapping. Seal 1 – A white horse, whose rider has a bow and a crown. This horse and rider conquers. I believe this is the antichrist/beast rising to power as soon as the Restrainer is removed. Who is the Antichrist and What Does He Do? Seal 2 – A red horse, whose rider is permitted to take peace from the earth. Violence will be prevalent as people literally fight to survive. This may also include the destruction of Damascus (Isaiah 17), and attacks on Israel (Gog/Magog – Ezekiel 38-39, and possibly Psalm 83). There will also be wars as the antichrist rises to power. Triumph: The Beast (Antichrist) Rises to Power Note that this seal also appears to involve the removal of Restraint on violence. Seal 3 – A black horse, whose rider holds a pair of scales. This seal seems to involve economic control, and perhaps famine. As the results of the seals are felt, food will become scarce. The ultimate fulfillment of this seal is the Mark of the Beast economic control, which will come later on. Current restraint on famine and economic controls will be released. Seal 4 – A pale/dappled horse, whose rider’s name is Death and is followed by Hades. These are given authority over 1/4 of the earth to kill by sword and famine and pestilence (infectious disease) and wild beasts. The fact that Hades (hell) follows death strongly suggests that this seal cannot affect Christians. Since there is no protection mentioned for believers, they must not be there…and there is only one time in human history where there will be NO believers present on earth – immediately following the rapture of the body of Christ. Seal 5 – Souls of martyrs are seen under the altar of God, crying for vengeance. Thus, we know no wrath has started yet (or they wouldn’t be asking “how long until…”). They are then clothed in white robes. I believe this is a picture of the resurrection of the dead in Christ. After the resurrection/rapture event, martyrs will continue to accumulate before God’s vengeance is complete. They will not accumulate under the altar, but on the crystal sea before God’s throne – Revelation 15:2. Seal 6 – Great earthquake (possibly caused by the resurrection of the dead coupled with the transformation of living believers), sun darkened, moon becomes like blood (these two possibly caused by ash or smoke in atmosphere), stars of the sky falling to the earth (possibly satan and his angels being cast down – Revelation 12), sky vanishes like a scroll (opening up to receive the body of Christ – the rapture/harpazo), every mountain and island moved out of place (this is global and severe). Everyone left on earth hides from “the face of him who is seated on the throne, and from the wrath of the Lamb, for the great day of their wrath has come, and who can stand?” Everyone can see into heaven. The taken are received into heaven, and we are about to see, will STAND. The left behind are terrified – for the great day of their wrath has come. The events of Seal 6 continue and the two visions in this chapter are parallel. One is on earth and one is in heaven. Jumping back and forth between visions of the heavenly track and visions of the earthly track will continue throughout the book of Revelation. The Holy Spirit’s indwelling seal on the body of Christ has been removed at the rapture (Seal 6), and He immediately moves to seal 144,000 elect Hebrews on their foreheads. These are a literal group of 144,000 people from each of the 12 tribes of Israel as listed. These people may not know which bloodline they are from, but God does! It’s possible this sealing process takes a period of time, as the four angels who will blow Trumpets #1-4 are actively holding back their judgments until the sealing is complete. I suggest that this sealing might take place between the Feast of Trumpets and the Feast of Atonement, during the “Days of Awe” (days of repentance), but that is just a speculation. John’s attention is drawn from the earth up into heaven, where he sees “a great multitude that no one could number, from every nation, from all tribes and peoples and languages, standing before the throne and before the Lamb, clothed in white robes, with palm branches in their hands, and crying out with a loud voice, “Salvation belongs to our God who sits on the throne, and to the Lamb!”. Clearly, if you lay aside the teachings of man, this can be none other than the newly raptured church. If we go to an interlinear translation, and look up the individual words, it suggests that these are the ones coming out of (away from, away from the time and place of) great tribulation (affliction, anguish). We are literally violently snatched (harpazo) from the earth as the birth pains are beginning. It’s entirely possible that we see the earthquake, darkened sun, blood-red moon, and the “stars falling”, before or as we are taken. Seal 7 is likely opened at the same time as Seals 1-6, it’s just that there was SO MUCH to describe during those seals. Seal 7 involves silence in heaven “for about half an hour”. This is significant because normally heaven is a very noisy place! The cherubim alone never cease to worship God. This silence represents a pause. There is a pause between the events of the Seals and the beginning of the Trumpets. The 144,000 may be coming to know Christ at this time; this also may be the time of the War in Heaven between the holy angels and the fallen angels as per Revelation 12. I believe this silence might represent the 10 Days of Awe between the Feast of Trumpets and the Day of Atonement. For more details see Seal 7. When the silence is complete, a heavenly Yom Kippur (Day of Atonement) service is performed with the censer, the incense, and the fire from the altar. Chronological. Possibly begins on Day of Atonement (Yom Kippur). Trumpet 6 (woe 6) concludes with the death and resurrection of the 2 witnesses. So the timeframe for Trumpets 1-6 is likely approximately 1260 days (the first half of Daniel’s 70th Week). Remember the 4 angels who were holding back their judgments on the earth, sea, and trees? These are the first 4 angels who are about to blow their Trumpets. The 144,000 have been successfully sealed. For a detailed description of the Trumpets, see HERE. Trumpet 6 – Woe 2 – Demonic army of 200,000,000 is unleashed from the region of the Euphrates, where they have been bound, and kills 1/3 of humanity over a period of time. Woe 3 ends at the resurrection of God’s 2 Witnesses. Trumpets 1-4 issue forth judgments on the earth and sea. Note specifically the “1/3” judgements, which might have reference to the “1/3” of the fallen angels (Revlation 12:3). Trumpets 5 & 6 will unleash demonic / fallen angelic spirits upon the earth. NOT chronological. This chapter gives further detail, but is chronological in that it follows Trumpet 6 and precedes Trumpet 7. John sees another mighty angel, which cannot be Jesus because this angel swears “by him who lives forever and ever” and God does not swear by Himself. This is the same angel and a parallel vision to the one Daniel has in Daniel Chapter 10. This angel tells John that in the “days of the trumpet call to be sounded by the seventh angel, the mystery of God would be fulfilled”. This tells us that the seventh trumpet will encompass a period of more than one day, which makes sense because the seventh trumpet contains the 7 Bowl judgments. The angel also confirms to us that the 7th Trumpet, which includes the 7 Bowls of Judgment, will complete the “mystery of God”. The mystery of God is none other than the full revelation of Jesus Christ (Colossians 2:2-3). Jesus will bring unity to all things in heaven and on earth as He establishes His eternal Kingdom. The time has FINALLY ARRIVED! (Gotquestions discusses the mystery of God further). John also hears the voices of the seven thunders, but is not allowed to write what they say. I wish we knew! NOT chronological. This chapter backs up a bit to give further detail. It starts in between Seal 7 and Trumpet 1, and ends at the end of Trumpet 6. This chapter introduces us to God’s 2 Witnesses. Their identification is debatable, but possibilities include Elijah and Moses or Elijah and Enoch, or maybe Zerubbabel and Joshua (more discussion HERE). Jews are expecting Elijah to arrive BEFORE the Day of the Lord begins (Malachi 4:5-6). They are granted authority by God to prophesy for 1260 days, likely proclaiming “Repent! For the Kingdom of God is at hand!” They will be invincible during their ministry, and are able to call down plagues at will. When their 1260 day ministry is complete, the antichrist (beast) – likely newly resurrected from the dead himself – will be allowed to successfully kill them. Their bodies will lie in the streets of Jerusalem for 3.5 days, likely while the antichrist declares himself to be “god”. After 3.5 days, God will resurrect them and call them up into heaven. An earthquake follows, and we are told this completes the second woe (Trumpet 6). The seventh angel now blows his trumpet. Remember the mighty angel told us that in the days it sounds, the mystery of God would be complete. We see the 24 Elders in heaven celebrating this exactly – the Lord God Almighty who is and who was has taken His great power and has begun to reign! There is no more “is to come”. Heaven celebrates the imminent redemption of the earth. From this point on in Revelation, we are given the details of how Trumpet 7 is carried out. NOT chronological. Revelation 12 gives an overview of the entire Day of the Lord from a completely different vantage point. Verses 1-6 give an overview, and the rest of the chapter fill in details. Revelation 12 is my favorite chapter 🙂 It begins with a specific sign in the sun, moon, and stars (fulfilled September 23, 2017). 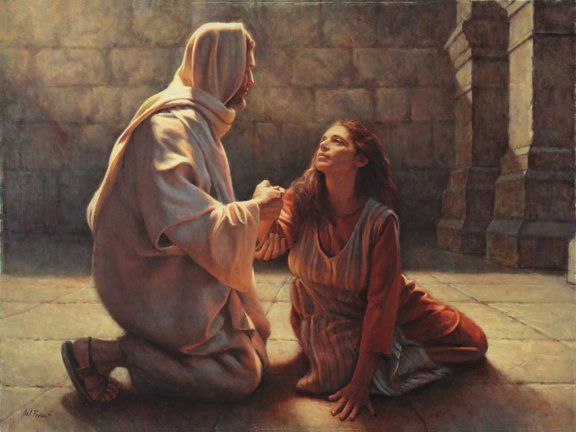 The woman, identified as Israel through strong connections to Jacob’s vision in Genesis 37, is pregnant and crying out in birth pains. This birth pain theme is a thread which ties together many verses about the Day of the Lord. Basically, Revelation 12 outlines that Israel about to enter her “birth pains”. We see a dragon waiting to devour her child, but the child will be snatched up to heaven (the rapture of the body of Christ). The church will be snatched out of (away from) great tribulation that is unfolding on the earth in its’ wake with the Restrainer now removed. This is entirely consistent with Jesus telling us that when we BEGIN to see all these things (the beginning of birth pains sign He describes on the Mount of Olives), that our redemption draws near. As Israel enters her birth pains, the time of Jacob’s Trouble, the body of Christ will be delivered. The timeline for this is Seal 6. Satan immediately pursues the woman (Israel). I don’t believe he will immediately start trying to kill the Jews – he already tried that plan through Hitler. Instead, I believe he will deceptively infiltrate her – quite probably by raising up his antichrist to appear to be the “Jewish Messiah”. This rise to political and spiritual power will take place during the first half of Daniel’s 70th week. When he claims to be “god”, many Israelites will clue in and flee to the wilderness to “a place prepared for her” for the 1260 days of the antichrist’s rule from the Temple. This is when Michael stands up (Daniel 12:1), and defends them in the wilderness for the duration of the 1260 days of Beast rule. With the believing remnant of Israel safely hidden, the dragon is furious and makes “war on the rest of her offspring, on those who keep the commandments of God and hold to the testimony of Jesus.” This is the 1260 days of his rule when the saints are given into his hand. Note that the woman’s offspring here are the post-rapture gentile followers of Jesus. For a verse by verse commentary on Revelation 12 see HERE. The first beast we see is the antichrist. He rises “out of the sea”, and has ten horns and seven heads. We are told here that one of his heads seemed to have a mortal wound, but the mortal wound was healed. So this description is occurring AFTER his resurrection from the dead. The beast will frequently be referred to by this apparent resurrection. It is this that seems to prompt the earth to marvel after him, and is likely the impetus for why he can claim to be “god”. It is also at this point that the beast likely kills the 2 witnesses, which prompts the world to say “who is like the beast, and who can fight against it?”. The beast is then given 42 months authority to rule via the dragon’s power. This will spark the Greatest Tribulation that Jesus refers to as beginning at the “abomination of desolation”, and is parallel to Revelation 12 where the dragon makes war against the saints. Who is the Antichrist and What Does He Do? The second beast we see is the false prophet. He rises “out of the earth”, and has two horns like a lamb and speaks like a dragon. The false prophet points the world towards the antichrist via supernatural signs and wonders. There will be a forced worship of the antichrist via an image, and those who refuse to worship will be killed. The false prophet will institute the Mark of the Beast system that is required for all economic transactions. One will not be able to take the Mark by accident; it will be a deliberate decision. Who is the False Prophet and What Does He Do? Collectively, the dragon, the beast, and the false prophet form an “unholy trinity” in mockery of the true Holy Trinity. The 2 beasts likely begin their rise to power as soon as the Restrainer is removed at the rapture of the church. However, their global power doesn’t take hold until the authority of the 2 Witnesses ends. Basically, I envision the 2 Witnesses being given their authority upon the rapture of the church (Seal 6). Meanwhile, the restraint is removed on the 2 beasts and they begin their campaign to rise to power. Near the end of the 2 Witnesses’ ministry (1260 days), the antichrist beast is killed. He then rises from the dead and immediately acts to try to kill the 2 Witnesses, and this time he will be successful. The antichrist will then declare himself to be “god” and commit the abomination of desolation in the Temple. This begins the antichrist’s 1260 period of authority. He may campaign to kill the 144,000 sealed Israelites at this time (as they are seen in heaven right after this descriptive passage). Mark of the Beast Speculation HERE. Remember the 144,000 that were sealed in Revelation 7? These are now seen on the heavenly Mount Zion with the Lamb. That they have been redeemed from mankind as firstfruits for God and the Lamb acknowledges that they are deceased (likely martyrs) and they are the first of the elect remnant of Israel. They are both covenant Israelites (firstfruits for God) as well as followers of Jesus Christ (firstfruits for the Lamb). They are the first intake of the new harvest. Note this distinction of them being “firstfruits” supports that a new period of time began in Seal 6 when they were sealed. This would not make any sense at all if the body of Christ carried over past Seal 6. Seal 6 involved a “passing of the torch” from the church (the 7 lampstands, sealed in hearts) to the 2 witnesses (the 2 lampstands and the two olive trees) and the 144,000 (sealed on foreheads). The announcing angels follow the 7th Trumpet and are God’s final warning calls. Angel 1 – This angel proclaims the eternal gospel in such a way that every single person on earth hears. This is God’s final call to salvation. This may include Jesus’ call to “come out of her, my people!” in anticipation of the second angel’s announcement. Angel 2 – This angel announces the impending fall of Babylon the Great, who I believe is the end-times city of Jerusalem. God will provide one final call to escape before Babylon is destroyed. Angel 3 – This angel warns that anyone who worships the Beast or takes his mark will have their fate sealed – they will drink God’s wrath in the upcoming Bowl Judgments and will face the eternal fate of the Lake of Fire. More on the Announcing Angels HERE. NOT Chronological. This gives an overview of what the 7 Bowls of wrath will accomplish: the reaping of the earth. Once the final warnings of God have been given, the 7 Bowls of wrath will be poured out. These Bowls will collectively “reap” or “harvest” the earth. The image of the sharp sickle and the reaping is not a comforting one. The harvest of grapes in specifically thrown into the great winepress of the wrath of God, which is about to be described in great detail in the next few chapters. NOT Chronological. Further detail is given on how and why the earth will be harvested. John is seen a vision of the 7 angels who hold the 7 Bowls of Wrath. With them, the wrath of God will be complete. These will be unleashed “in the days of the 7th Trumpet”. The purpose for the 7 Bowls of Wrath is revealed – it is time to answer the prayers of the Seal 5 Martyrs. John is shown the “tribulation martyrs”, those who have died in Christ since the rapture, standing on the sea of glass before God’s throne. They sing the song of Moses and the song of the Lamb, suggesting there are both Jews and Gentiles included. The fullness of the martyrs has been reached! It is time to pour out God’s vengeance upon the earth. God’s sanctuary, which has been accessible to believers through our High Priest, Jesus Christ, is now closed until the Bowls of Wrath are completed. It seems that humanity’s fate has been sealed. NOT Chronological. These will be poured out sequentially after Trumpet 7 sounds, and will ‘harvest the earth’. Bowl 7 – Lightning, rumblings, thunder, greatest earthquake ever, 100 pound hailstones. The earthquake splits Jerusalem into 3 parts, causes all the cities in the world to fall, all mountains to collapse, and all islands to disappear. It is also through this earthquake that God pours out the “cup of the wine of the fury of his wrath” upon Mystery Babylon, completing her destruction. This is the “winepress of God’s wrath” described in Chapter 14. NOT Chronological. Detailed description of Mystery Babylon and her destruction. Mystery Babylon is so significant that she earns herself two whole chapters in the book of Revelation. She is described as “drunk with the blood of the saints, the blood of the martyrs of Jesus”. I believe that the end-times city of Jerusalem becomes Mystery Babylon through its’ worship of the antichrist. Israel (the non-elect 2/3) so embraces the antichrist (likely as “messiah”), that it entices the whole world to follow him. Israel is often described as a harlot throughout the Old Testament, in reference to her spiritual idolatry. Mystery Babylon is about to become the ultimate manifestation of this harlotry when Israel “embraces the one who comes in his own name” (John 5:43). Jerusalem will become the seat of the antichrist’s rule, and the dwelling place for demons (literally). Out of this rule will come the greatest persecution of the saints of all time. Numerous scripture references place the collective blood of the martyrs from the start of humanity squarely upon Jerusalem’s shoulders (18:24), and Jerusalem is about to receive the vengeance of God for it. The timing of Mystery Babylon’s destruction appears to be right before the Battle of Armageddon. It seems to happen quickly (“in one hour”), but chapters 17&18 skip around a little bit. As we see in Revelation 18:4, Jesus issues a final warning to “come out of her, my people!”, which must precede her actual destruction. Perhaps this warning accompanies the split of the Mount of Olives, which creates a pathway for the elect remnant of Israel to flee as described in Zechariah 14. Note that it is the beast and his 10-king confederacy that carry out Mystery Babylon’s initial destruction in fulfillment of God’s judgment. This might begin before the Bowls of Wrath are poured out, at or right after the 2nd Announcing Angel proclaiming it’s fall. We are not quite caught up in the narrative yet, as Mystery Babylon’s final death blow will be dealt via the 7th Bowl Judgment which has not yet occurred. Detailed discussion on Mystery Babylon HERE. NOT Chronological. A parallel heavenly view while Mystery Babylon is being destroyed. With the destruction of Mystery Babylon (Jerusalem), there is much rejoicing in heaven. The martyrs of all the ages have been avenged. NOT Chronological. Shows the heavenly preparation for Bowl 7. Heaven prepares to open once again. As it opened at the Beginning of the Day of the Lord (seal 6) to receive the body of Christ, so it will open again to let us all out at the End of the Day of the Lord. The wedding in heaven is complete and the saints have received their rewards at the Judgment Seat of Christ. It is Jesus’ righteousness that clothes us in white robes, but there is suggestion here that we will be adorned with our deeds – those that survived the test of fire. It is now time for the marriage supper. On that note, heaven opens again (the sky rolls back as a scroll). Jesus is in the lead, mounted on a white horse. He is no Lamb this time; he is about to judge and make war. The armies of heaven (the Bride of Christ) follow Him, also mounted on white horses. There will be no need for us to fight. Jesus is about to tread the winepress of the fury of the wrath of God the Almighty. Again, this connects us to the harvest of the earth (Chapter 14). We then see the beast and the kings and the armies of the earth all gathered to make war against Jesus and the Bride. We know that these gathered during Bowl 6. Thus in the chronology, Bowl 7 is about to be poured out. Further detail is given in Daniel chapter 7 and Zechariah chapter 14, but in summary the beast and the false prophet are captured and thrown alive into the lake of fire. The rest of the armies are slain by the Word of God, Jesus Christ. The birds feast upon the flesh of the slain. Now, Bowl 7 is poured out. Basically the entire earth is remodeled. The heavens and the earth are completely shaken, and all the kingdoms of the earth fall (including the supernatural ones). The earth is now ready for the Millennial Kingdom (Messianic Rule). And now we are caught up in the chronology from Chapter 14. A ton of stuff is packed into this short chapter. First, Satan and his hordes are seized and chained in the abyss. Then, the post-rapture martyrs (the ones we saw the souls of on the sea of glass in chapter 15) are resurrected from the dead to rule with Christ during His Millennial Kingdom. The Bride will also help Christ rule. Everyone who has been resurrected from the dead to this point are considered part of the “first resurrection”. The Millennial Kingdom happens here, but is not described. At the end of the Millennial Kingdom, Satan will be unleashed for a short period of time. He will deceive a large number of humanity at this point and march them up against Jerusalem to battle Jesus and His saints. It appears that not all will be fans of Christ’s “rod iron rule”. Once again, there will be no battle but fire will come from heaven and consume them all. Satan will be thrown in the lake of fire. Finally. We then see heaven and earth pass away as they flee before the Great White Throne. All the dead from the dawn of humanity, who did not participate in the “first resurrection”, will be resurrected at this time to face Judgment. Anyone who is not found in the Book of Life is thrown into the eternal Lake of Fire. We are introduced to our new home at this point – the New Jerusalem. Here is the ultimate promise to believers – it is finished, and all things are made new. This chapter describes the dazzling brilliance of the home which Jesus has prepared for those of us who love Him, who are called by His name. It’s absolutely huge and stunning. There is nothing accursed, and God will dwell among us. There will be no more night. And so we will reign forever and ever with God and the Lamb. Click for MORE ON ETERNITY. The chronology of Revelation ends here. Jesus concludes His message that He is coming soon! He will bring His reward with Him, to repay each one for what he has done. Jesus is the Alpha and the Omega, the first and the last, the beginning and the ending. Closely accurate with my studies. Chapter 20 is a parenthetical (or as they put it a DETAIL POPOUT) about the disposition of Saints and Sinners at The End. Revelation 21, New Heaven, New Earth is a continuation of Chapter 19. That is, unless we are to believe that the Bride (us) has been hanging out in Heaven for a thousand years and does not get to come down in our new home (New Jerusalem) until AFTER the Millennium. Oh, and that angel who had been dumping the Bowl Judgments would still be hanging out holding that bowl for a thousand years too. What is outlined IS what is typically taught in Bible Colleges and in commentaries and so on, but it does not jibe. More and more theologians are coming around to this latter understanding though, finally. Nicely done! Thank you for this exposition, I must disagree with your assumption that the rider on the white horse is the anti-christ. First of all, the “bow” that most think is a weapon is actually the other type of bow. The exposition in the Strong’s concordance G5115 describes it as the simplest textile. Would God give such a thing to the anti-christ ? If it is our Lord coming, what is He conquering ? Death, we are the first generation of believers who will not suffer death. That is why He comes first before the horsemen of violence, famine and death on the Earth.